Thank you for visiting my Merced, CA injury information page. I’m Ed Smith, a personal injury lawyer serving the community of Merced. I was born in Brooklyn, New York and have made Northern California my home since my discharge from the Air Force in 1970. Merced is a young and diverse community of about 80,000 people. 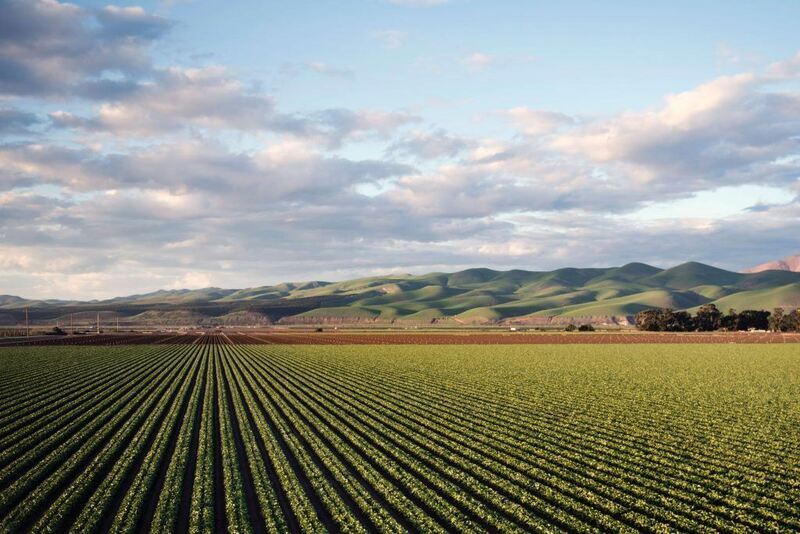 It is nestled in the heart of California’s Central Valley. Merced boasts friendly neighborhoods with tree-lined streets. There is an abundance of bicycle paths along scenic creeks that link to City parks. The downtown area has been revitalized becoming the entertainment center of Merced. The annual festivals and events are not to be missed. Merced is located southeast of San Francisco making for easy access to the central California coast, major cities, national parks, and the Sierra Nevada. Residents have much to do in and around Merced with short drives to fishing, beaches, skiing, and other outdoor attractions like beautiful Yosemite. If you are visiting my page, you have likely been in an accident of some sort. Perhaps you do not know any Merced auto accident attorneys. Choosing an experienced Merced personal injury attorney who can really help can be an overwhelming task, especially when you are in physical and emotional pain. You may be concerned about whether or not you will be treated fairly by an insurance company. Perhaps you are already experiencing frustration by your conversations with the insurance company adjusters. So here you are on the internet trying to find a good lawyer who will help with your personal injury case. When I looked online, I found, for example, many large law firms in Merced practicing personal injury law but they had no Google or Yelp reviews. I found smaller law offices with some Yelp reviews, but they practice in multiple areas of law, like criminal, family, DUI, and business, in addition to personal injury law. I think it is important to have a personal injury lawyer that handles personal injury cases exclusively. You don’t want someone who dabbles in this and that and is a master of nothing. I have worked in personal injury law exclusively for more than 33 years. The YouTube video below can really help you select an experienced personal injury lawyer. Look the attorney up in social directories. I recommend Yelp, Google and Avvo. These are great places to begin your search. These sites are popular places that real people can express their opinion about their experience working with someone. See if the attorney you are considering is well-liked in the community which should be evident by great customer reviews. Next, go to the attorney’s website. Check for a past verdicts and settlements page. Do they have a long history of excellent verdicts? If not, you may be dealing with a rookie firm that lacks trial experience. Check the attorney’s practice areas. Are they specializing in multiple areas of law? You should find an attorney who practices personal injury law exclusively. You don’t want your personal injury case handled by a divorce lawyer. Find someone with years of experience in personal injury law only. See if the attorney has client testimonials available on their website. You want to be able to see positive past reviews. A good attorney will gladly provide this information to you. Meet with the attorney over coffee. Does the attorney seem like someone you can communicate effectively with? Does he or she really care about you and your injuries? Or does it feel like he or she is looking down on you from behind his high chair? What does the law office look like? Is it sparsely decorated? Is there a capable and professional staff working with the attorney or is he a one-man show? Will the lawyer have the financial resources available to take your case to trial if necessary? If you or a member of your family has been seriously injured in Merced, please call for free, friendly advice at (209) 227-1931. I handle cases of a severe nature only. If you have been injured in an accident and suffered minor soft tissue injuries, you can still call me, and I will likely refer you to an attorney who can help you with your case. The reason I take only serious personal injury cases is that I saw a great need for this type of lawyer in Merced. You may be wondering why I handle cases from Merced when my office is 114 miles away in Sacramento. I do this because my research of Merced car accident lawyers did not turn up many lawyers specializing exclusively in personal injury law, who had excellent customer reviews, high case verdicts and settlements or the financial resources and trial experience necessary to take a case to a jury trial. Unfortunately, many good lawyers were forced out of Merced due to the economic downturn. This has left a huge void in the region for solid legal representation. It is important to me that injured victims, no matter where they reside, have access to solid legal representation. When you have a case involving serious personal injuries, and I think your case is a good one and we are a good fit together, I will invite you to Sacramento and pay your transportation and overnight lodging costs. It is important to me that I meet you in person and understand what your life was like prior to your injury and what your life is like now. I want to know your background, your hopes, dreams, and challenges. That way I am in a better position to advocate for you with insurance adjusters and potentially with a jury if your case ever goes to trial. The more I understand you, your injuries, your needs and the needs of your family the better opportunity I have to bring about a successful outcome in your case. I will take your personal injury case on a contingency fee basis. This means you pay no money up front. You don’t pay anything until and unless I am successful. Take a moment to read my short biography here. I am proud to be a member of the Capitol City Trial Lawyers Association. I also am a member of the Brain Injury Association of California and the Million Dollar Advocates Forum. I am a published author of thousands of helpful personal injury related articles related to personal injuries. Those articles can be viewed here. I’ve also published two books about personal injury law. My books include The Ultimate California Auto Injury Handbook and The California Motorcycle Accident Handbook. Q: Do you know what the most dangerous intersections for traffic accidents are for Merced? Q: Do you know of a good chiropractor in Merced? Q: Do you know of a good auto body shop in Merced? I’m Ed Smith, a Merced car accident lawyer and personal injury lawyer. If you or your loved one has been seriously injured in an accident, please give me a call at (209) 227-1931 or (800) 4045400 for free, friendly advice. I am a California Million Dollar Advocate. Members in this fellowship are leading trial attorneys who have won million dollar cases. I am also a proud member of the Top One Percent. To read some of my high past verdicts and settlements, click past verdicts and settlements page. Take a moment to read some of my customer feedback on Yelp, Avvo, and Google. I founded California’s leading personal injury and accident information website: www.autoaccident.com.